Vomistop is marketed globally by CIPLA. An active ingredient in Vomistop is Domperidone. 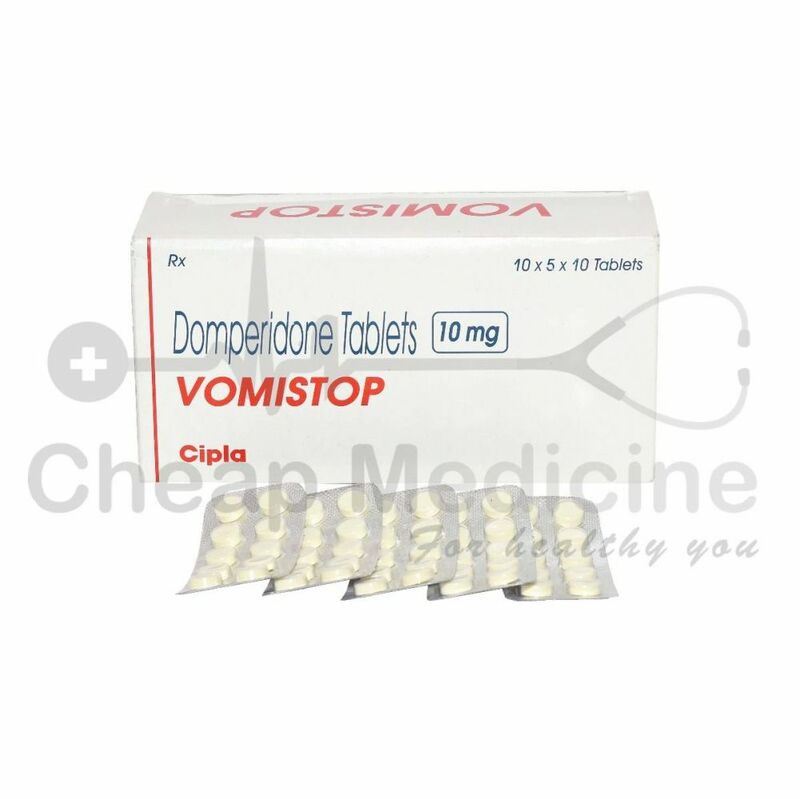 Vomistop having Domperidone is manufactured by Cipla laboratories. It is mainly marketed and supplied by the company and its associates in India. Vomistop have10 mg of Domperidone. It is used in the treatment of vomiting, nausea, belching and heavy bloating, gas, heart burn. Vomistop works by blocking the dopamine receptors in our body and it does not readily enter our brain. It also increases the peristalsis (wave like movements in our gastrointestinal tract that help in the movement of food) and gastric motility, therefore facilitating gastric emptying. Take this drug as directed by doctor. Take 15 to 30 minutes before meals. Domperidone the active salt in Vomistop is to be taken usually in dosage which ranges from 10 mg to 30 mg. The more specific dose will be directed by your doctor. Hence, do not take Vomistop without consulting with your doctor. How long Vomistop should be continued? Consult your doctor regarding the intake and stoppage of the drug. Do not take a decision on your own. Consult doctor for each possible step. Do not take a double dose at the same time. Do not take Vomistop if you have allergic reactions with the salt or excipients. A fast heartbeat or a heartbeat that does not feel normal. Check with your doctor immediately if you are having any of these effects. If you have an allergy to domperidone or excipients in the formulation. If you have kidney disease, liver disease, heart disease, electrolyte abnormalities. If you have bleeding in the gastro intestinal tract, block in bowel, gastric ulcer. If you are taking drugs that can cause abnormal heart beat (prolonged QT interval). The chance of abnormal heart rhythm is higher when you take a dose greater than 30 mg per day or in patients older than 60 years.